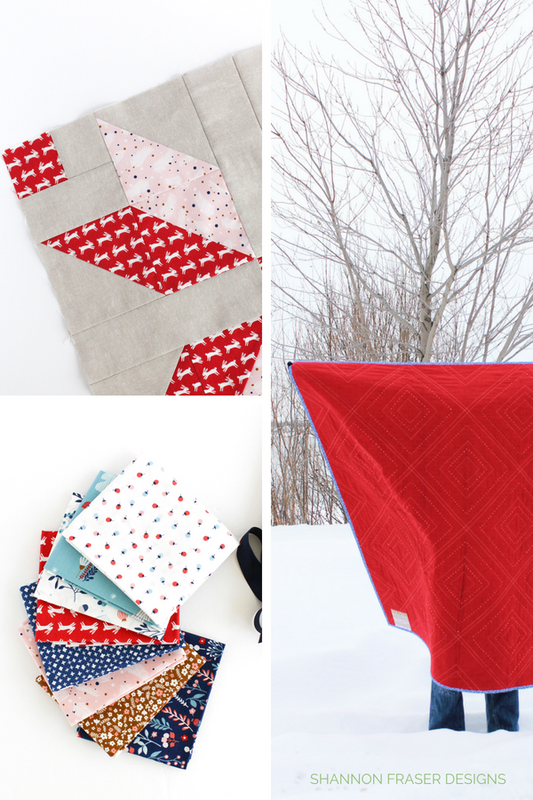 A winter quilt in spring with summer riiiight around the corner? 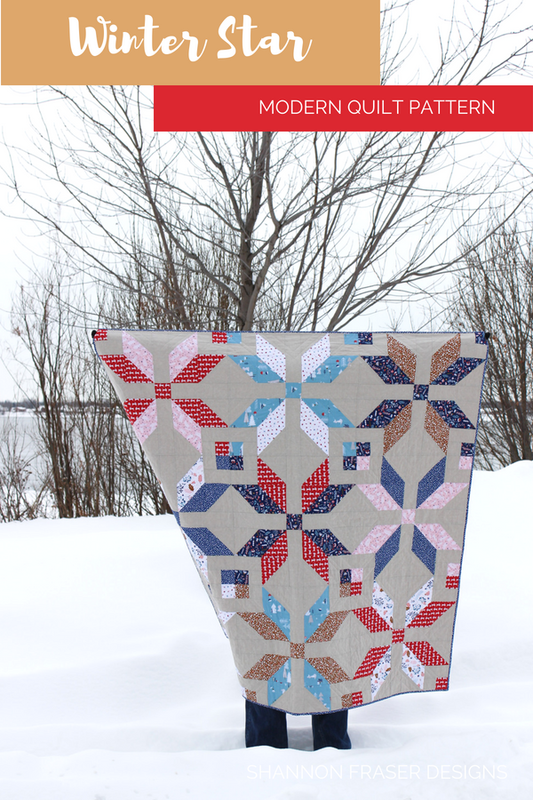 In all fairness, I actually made this quilt when it was the dead of winter and we were experiencing a polar vortex here in Montreal. 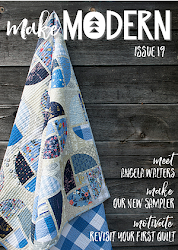 It was some of the coldest winter days that saw me all snuggled up underneath this quilt while hand stitching away. Everyone was complaining about the cold and I was snug as a bug in my quilt! Well, not MY quilt, my mum’s actually. 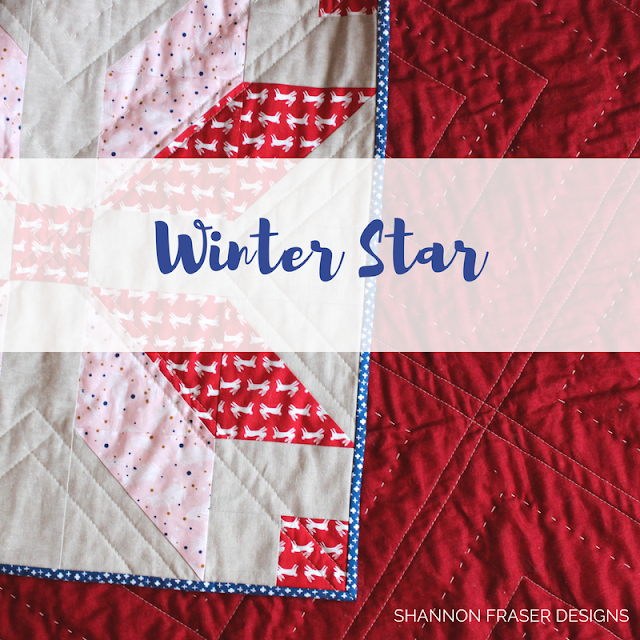 I totally designed this version of my Winter Star quilt pattern with her in mind and with the intention of gifting it as a Christmas present. The fact that it didn’t actually get handed over to her until Mother’s Day is an entirely different story all together! 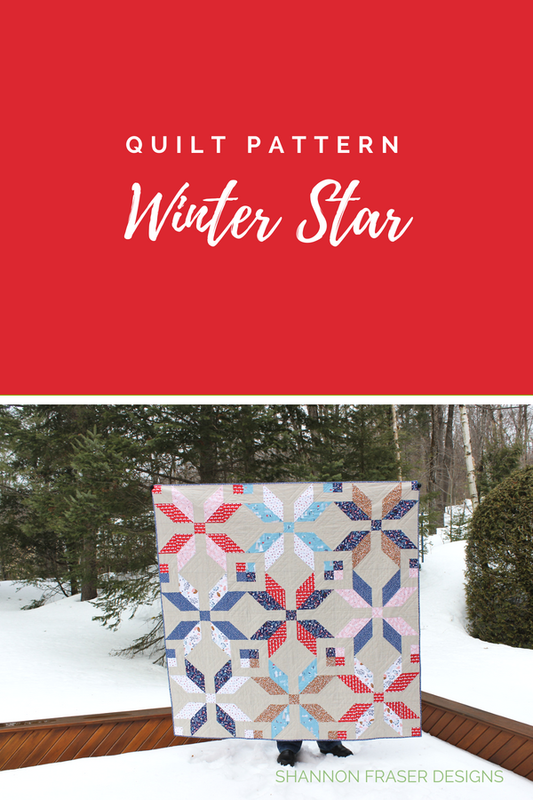 Instead, this is the story of how the Forest Talk Winter Star quilt came to be. 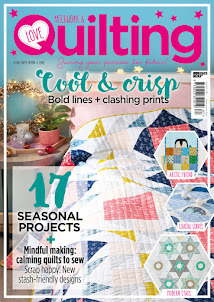 It all started when I won a fat quarter bundle of Cathy Nordström’s Crisp Forest Talk fabric collection for Andover Fabrics. 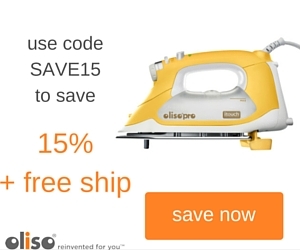 It was an Instagram giveaway that I vaguely remember entering. I never think I’m going to win these Instagram giveaways and usually participate because I want to support a fellow designer or because I’ve been tagged! So, to get the notice from Cathy that I’d won was super surprising. There were two colourways to choose from – a green/ purple or blue/red. I’m not usually a fan of red, but my mum LOVES red and since I hadn’t made her a quilt yet, I figured this was the perfect opportunity to do so. 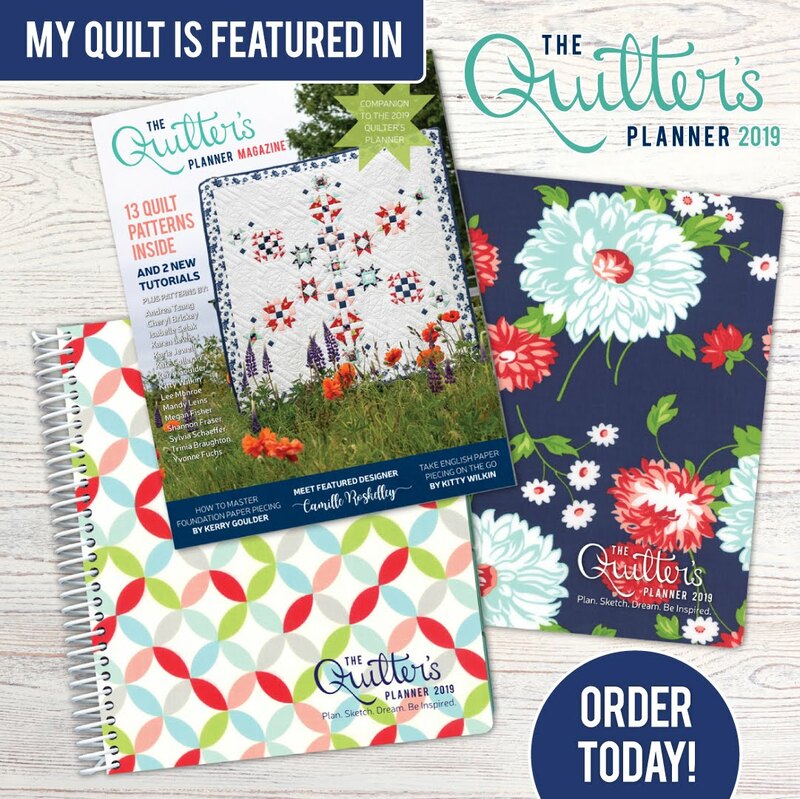 With a quick email to Cathy with my fabric choice and mailing info, I got to thinking of what quilt design would be a good fit for the collection. The prints are super cute – especially those bunnies – what is it about bunnies?! 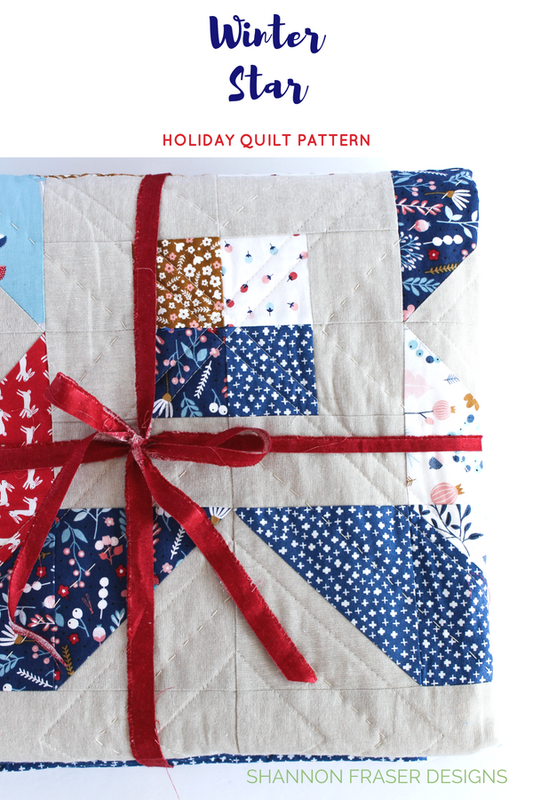 My mum’s décor tends to be more on the traditional side and since it was a fat quarter bundle heading my way, I wanted a pattern that would use all the prints. My Winter Star quilt pattern was perfect on both counts. 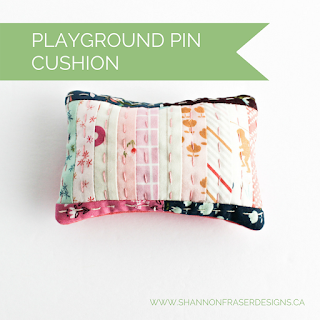 Based on the fabrics you choose; the pattern can look either super modern or very traditional. And the scale of the prints was perfect for the star block design. Only thing left to decide was the background fabric and how to pair up those fun prints! Once I received the bundle, which took quite awhile since it was coming from Europe, I sat one afternoon and played with the pairings. That was the fun part! Getting to decide which combos looked best. When isn’t playing with fabric the best?! There were lots of ways I could have gone here, but I love the combos I ended up choosing. Since I only had a FQ bundle, I needed some additional fabric to make a generous lap size. Plus, I needed some yardage for binding. 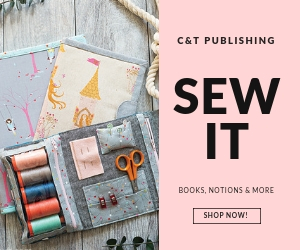 To help pull the collection together, I initially thought I would use a light blue Linen Texture fabric from Makower UK. Once I had it on the cutting table, it looked amazing with the collection, but I was worried it wouldn’t be my mum’s cup of tea. So, I opted instead for my trusty Essex Yarn Dyed Linen in Flax by Robert Kauffman. Honestly, I don’t think I’ve found a project where that linen doesn’t work! The one choice that was a no brainer was the red Linen Texture fabric from Makower UK. Thankfully, my friends over at Madabout Patchwork were super helpful in bringing some in specifically for me. I couldn’t find the red anywhere and they worked with their supplier to get it in. That’s what I love about local quilt shops. They’re ALL about customer service. You can read more about why I love them here. 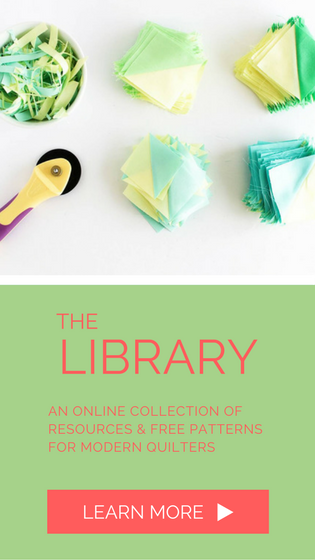 Or check this list for all my go-to online fabric shops. 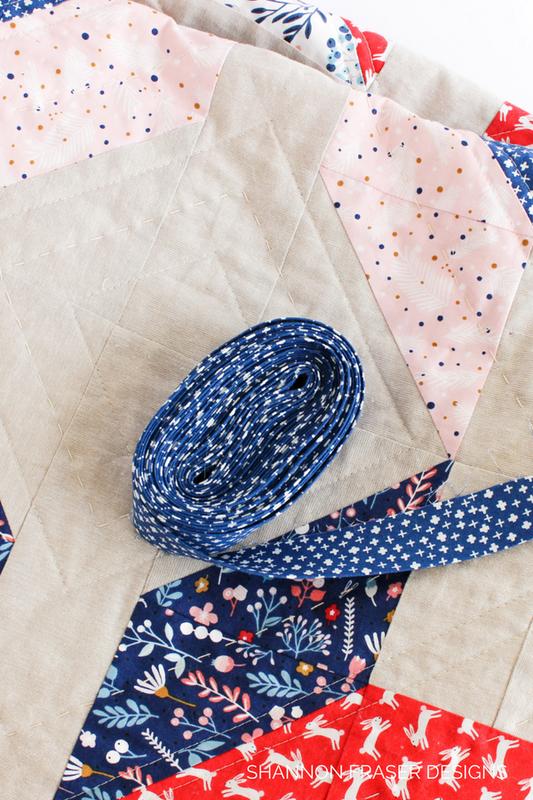 What's awesome about this pattern, aside from getting to play with lots of prints in one quilt, is how quick she comes together. 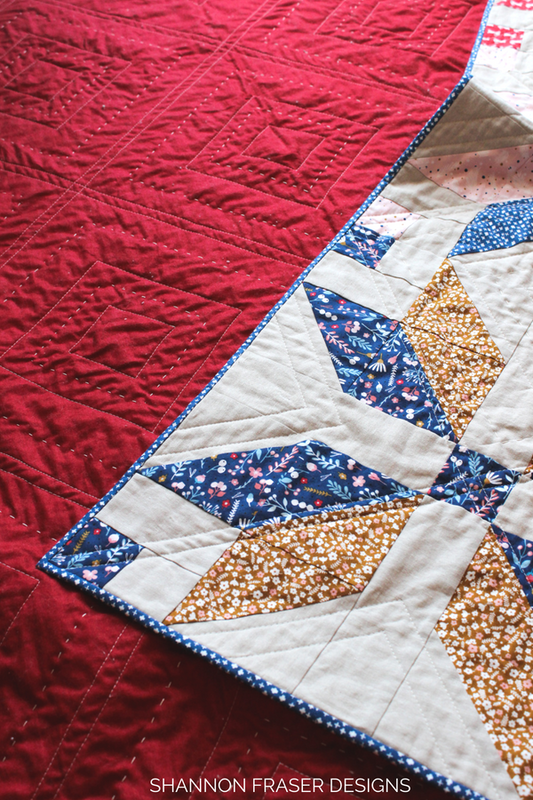 This pattern lends itself very well to chainpiecing, making quick work of the quilt top. 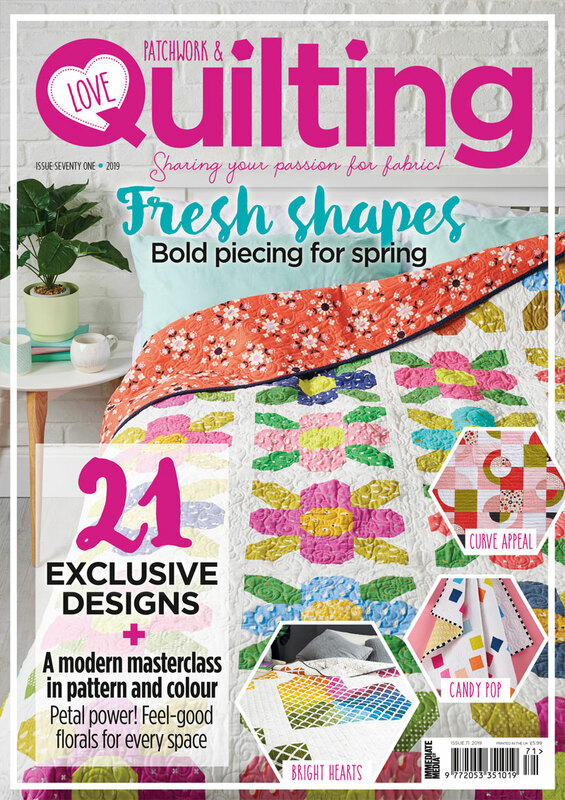 There are quite a few quilting designs featured in this quilt. 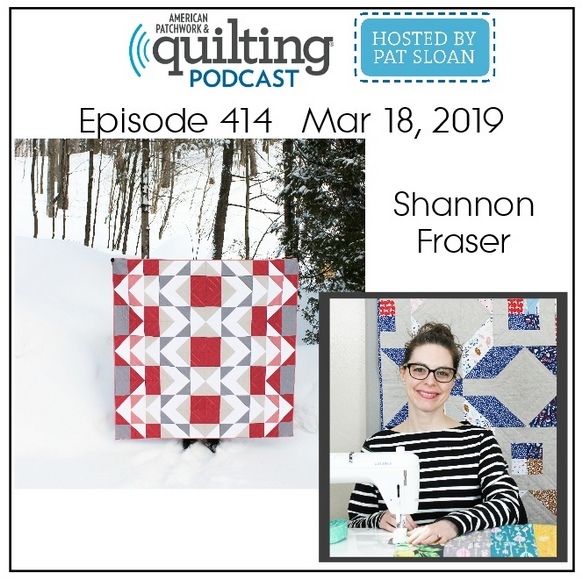 It took me quite a bit of time to finish it all up, but it was a great reminder that the time invested in a quilt always pays off (at least I haven’t regretted my quilty efforts thus far!). I opted to play around with quilting in the negative space between the stars using a square diamond shape. This involved quite a bit of thread burying, which is not a personal favourite task of mine (hence why my Molinari inspired mini is still a WIP). But I’ve learned that if you bury as you go it’s not so bad. 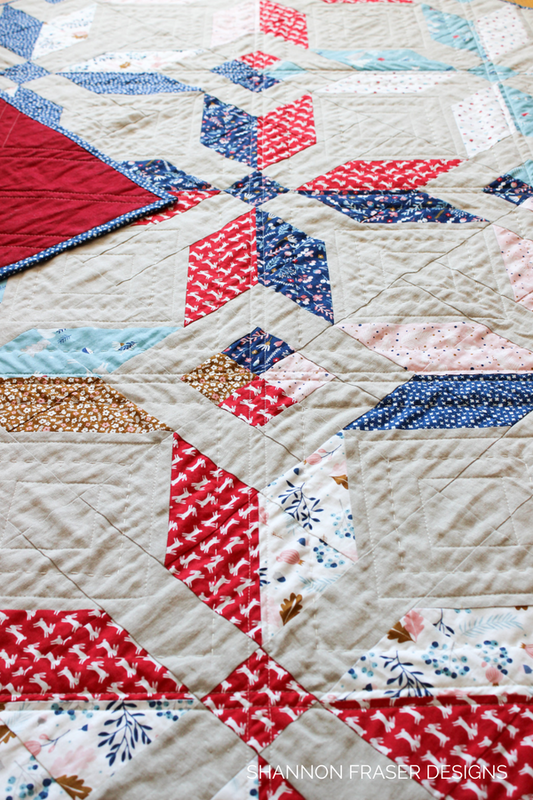 I then added some big stitch hand quilting detail using pearl cotton thread in size 8 between those quilted lines. This bit is what took me forever, but I love the look from the back. Don’t you?! The binding was another element that I really enjoyed. 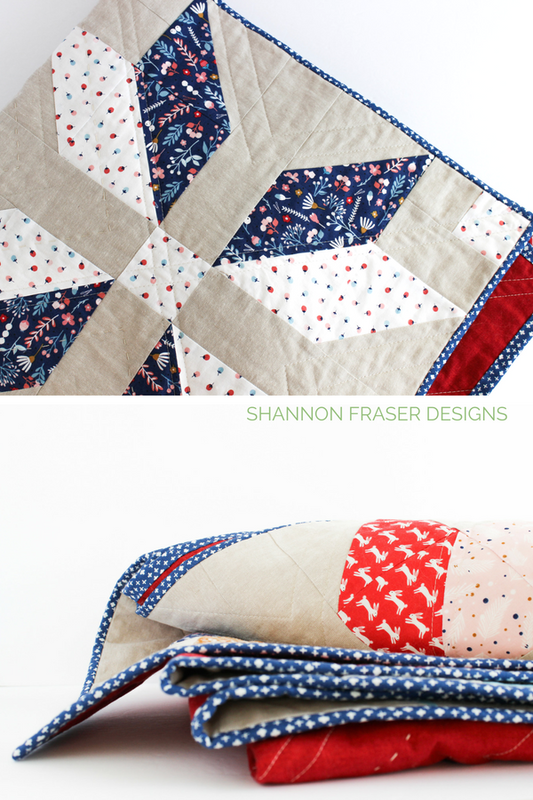 I really love the classic combo of navy and red and feel the small scale of the Blue Crosses print really frames the quilt perfectly. I love when a binding choice works out! And finally, you know me by now that I don’t consider a quilt finished until it’s been labeled. As always, trimmings from my project inspired that pretty little detail (which I thought I photographed, but can't seem to find anywhere...). 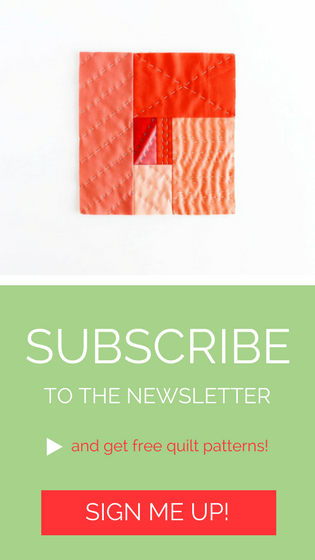 You too can make your own – see all my tips here. I love how this one turned out. So much so, I’m tempted to make another! 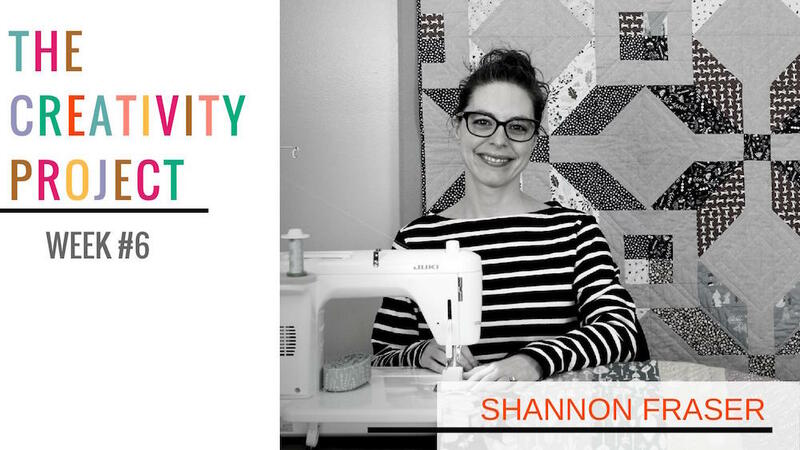 I know I've said this before, but that's what I truly love about quilting. 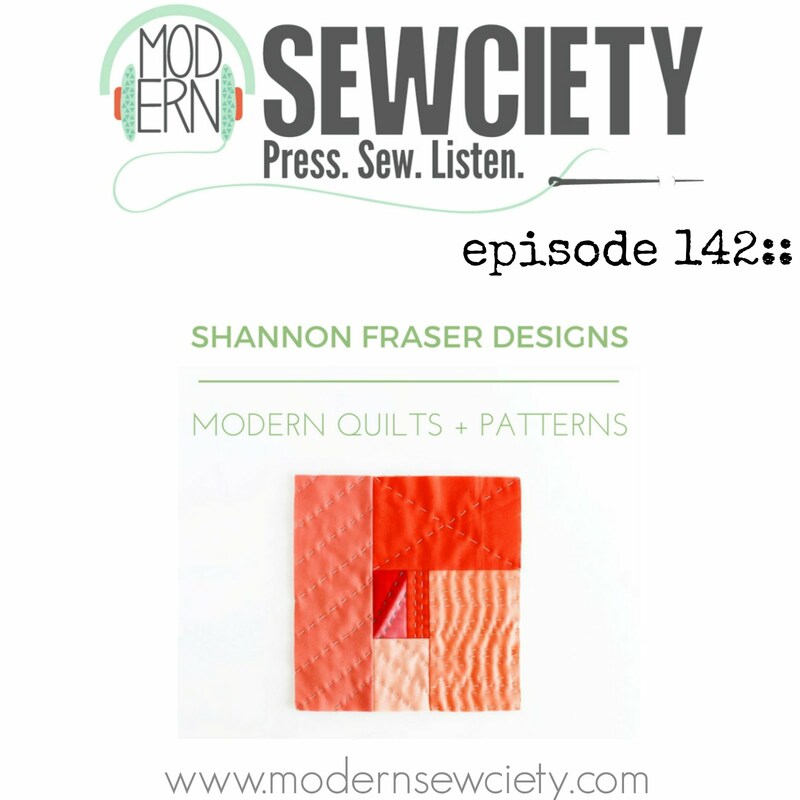 You can work with the same pattern but have a completely different end result just by switching up your colourway. The original version I designed back in 2017 had a very Scandinavian look. What would be your go-to colourway choice? Share in the comments below. 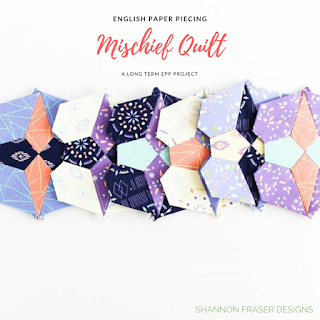 PS Adding this pretty to Finish it up Friday hosted by Crazy Mom Quilts and knocking it off my Q2 2018 FAL List! Congratulations on the pattern release. 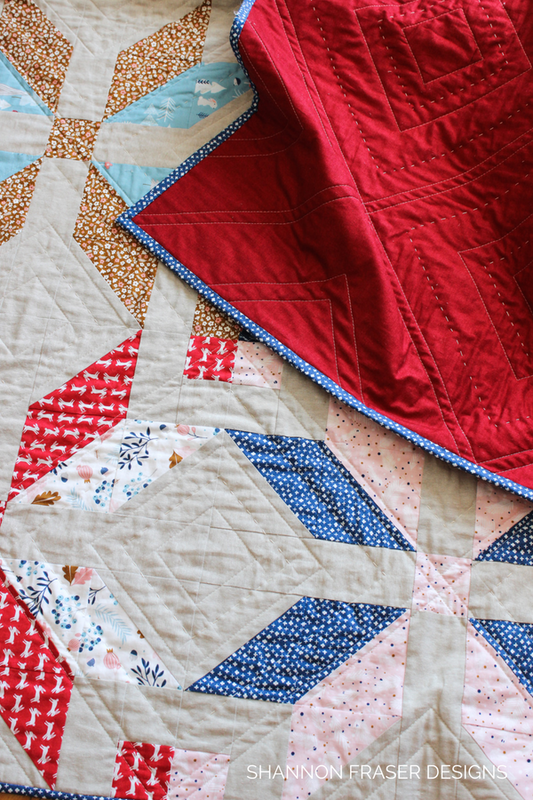 :) I love the hand stitching details, and my guess is that your mom is going to love this quilt for years. I love this version and I’m sure your mom is going to love it too! 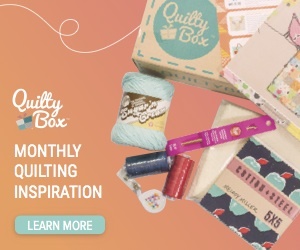 I’ve already made one quilt with your pattern (baby size), but you’ve now inspired me to try it out in a larger lap size. 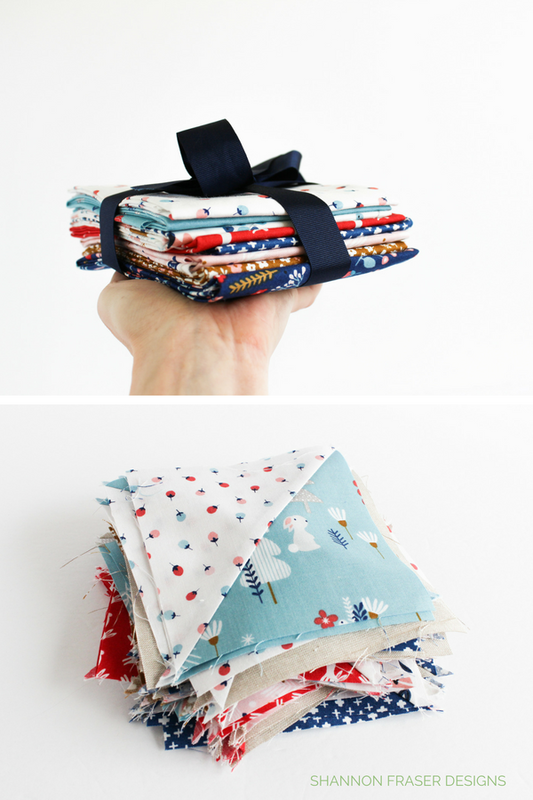 I’ve got a fat quarter bundle that’s been sitting in my stash forever and it would be perfect for it! Oh, I can’t wait to see your new version, Izzy! 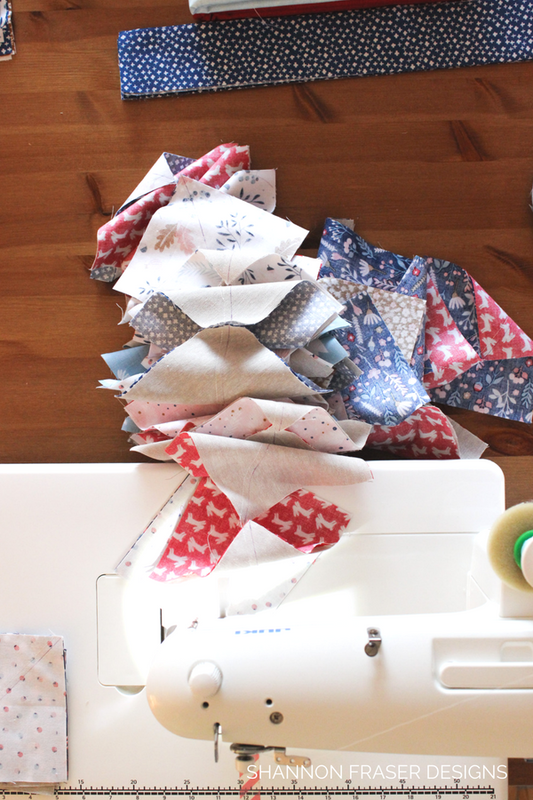 Don’t you just love a pattern that uses up those fat quarter bundles?! That is SO sweet of you, thank you! This so very pretty. I like the different colors you used! Good work! Thank you so much, Carol! Thrilled you like the fabric pairings.